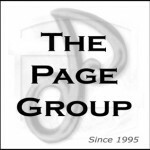 The Page Group believes that Customer Experience is job number 1 for all marketers. It is up to us to define and build our brand and marketing messaging around every touch point that the consumer has with the brand, and to develop a consistent message everywhere the brand influences the consumer. Failure to do so today often causes the consumer to look elsewhere for those things that are important for the consumer to receive in their brand and product relationships for the goods products and services that they purchase. If you don’t understand customer and market perceptions or how interactions with your firm are being experienced by your customers, it’s nearly impossible to regularly meet, much less exceed, customer expectations or to improve your organization’s performance. Zappos: When it comes to creating great experiences, Zappos says that the number one tool any company can use is listening. Backing this up with action, they “respond to every single customer inquiry, whether it’s via phone, email, live chat, Twitter, Facebook, Zappos blog, etc.” In fact, many of their experience improvements are inspired by customer feedback. link to actual CMO.com article and associated stories.